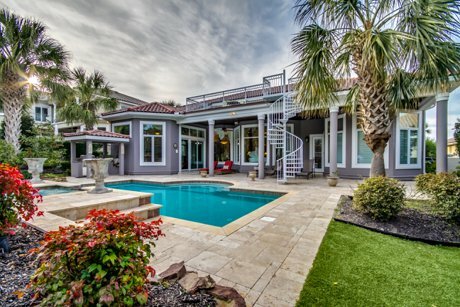 The Myrtle Beach luxury homes market has seen tremendous growth over the last ten years. New luxury home developments, neighborhoods, and homes are continuing to pop up all over the Grand Strand. One of the most well known and opulent developments in our area is Grande Dunes. Grande Dunes is a massive development, encompassing many neighborhoods and varying real estate opportunities on both the Intracoastal Waterway and the Atlantic Ocean. On the Intracoastal Waterway side, pass the guard gate and go over the bridge to find palatial Mediterranean style homes with golf course and waterway views as well as large golf course villas, and every amenity you can imagine. In addition to the communities over the bridge, there are a number of Grande Dunes neighborhoods spread out on the north end of Myrtle Beach, all with the same grandeur befitting of the development. On the Atlantic Ocean, more communities share the Mediterranean style of Grande Dunes, and are but steps from the sand, some offering ocean front homes and home sites, as well as high rise condominiums. The Dunes Club, Plantation Point, DeBordieu Colony, Seaside Plantation, and Creek Harbour are some of the other luxury home communities in the Grand Strand area. 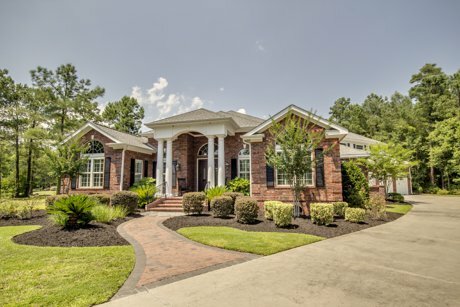 In the Carolina Forest area, there are several luxury home and luxury neighborhood options. Plantation Lakes features miles of shoreline, mature trees, and many different styles of homes. Other luxury home communities in Carolina Forest are located directly on the Intracoastal Waterway such as The Battery, featuring beautiful Charleston style homes, The Bluffs, offering beautiful custom homes and large homesites, and Legends, boasting classic style and golf course homesites. 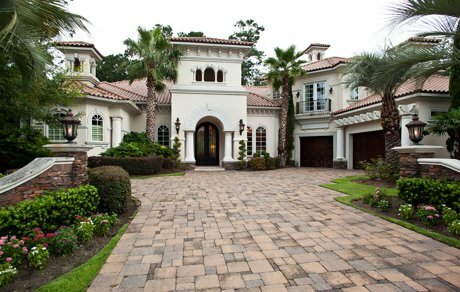 Contact Beach Realty Group at 843-424-6900 to speak with a Myrtle Beach luxury homes specialist today!